Known for it's smooth luxurious design and graceful black interior, The Black Swan is presented to the public as powerful, outgoing and is a sight to behold. 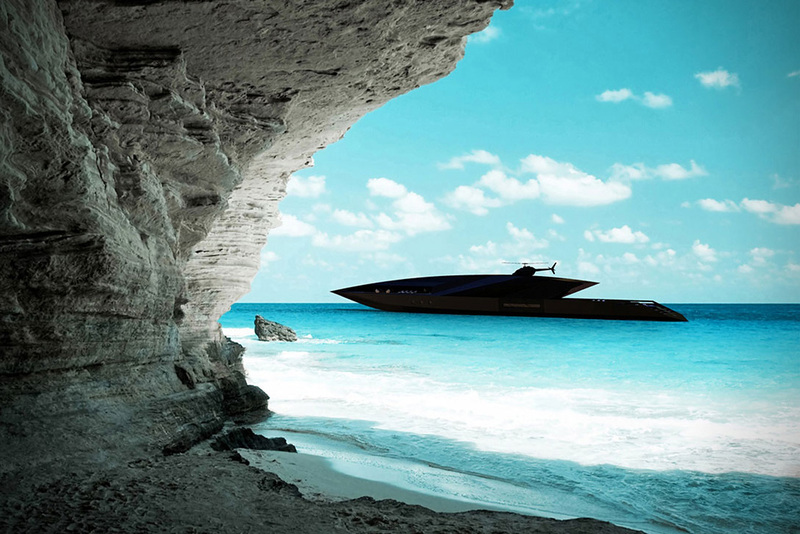 Designer Timur Bozca says the superyacht was simply crafted by connecting "simple lines together with dramatic angles and curves" and found his inspiration by using a "powerful image of an arrow". He wanted an aerodynamic exterior that would apply a distinctive look to the superyacht. 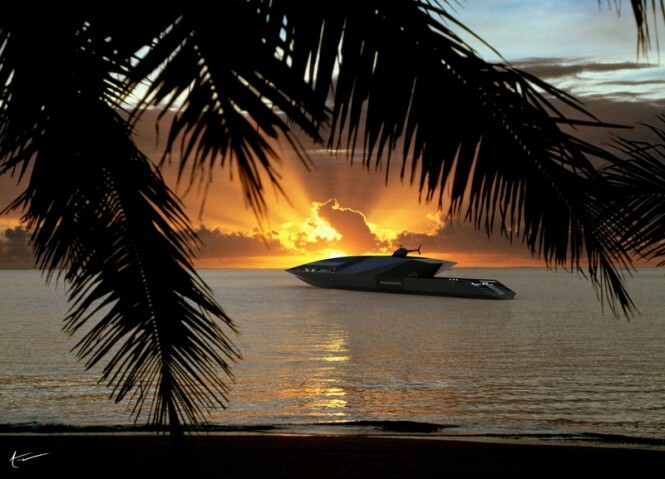 The yacht is simply breath-taking, eye catching and unusual as far as yachts go. The yacht will be a staggering 229-foot-long-vessel and will include an impressive four engines that will generate 23,172 horsepower which will hit a top speed of 32 m.p.h. 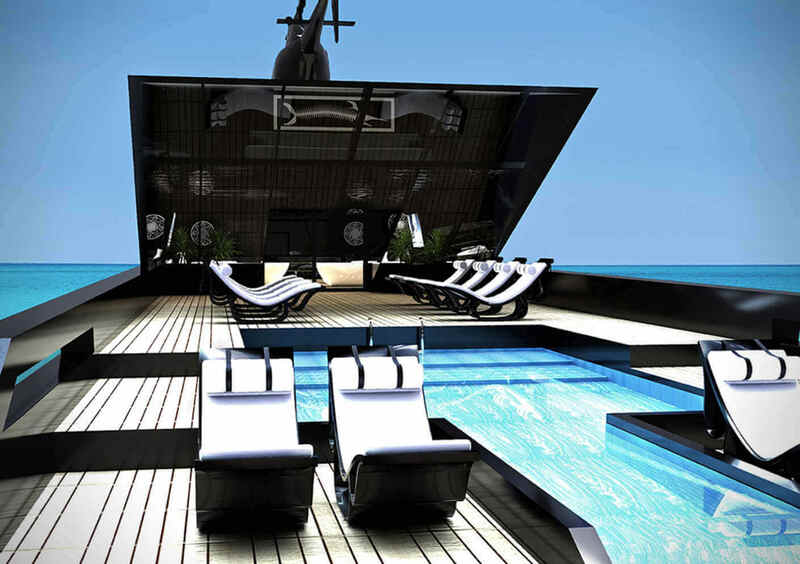 The striking Black Swan is made from aluminium and steel and will feature a sky blue pool that funnels toward the stern and disappears into the crystal ocean. The superyacht will also include two large private balconies that are hidden from view, a sundeck for lounging and a rooftop helipad which is reached via an elevator that is concealed. 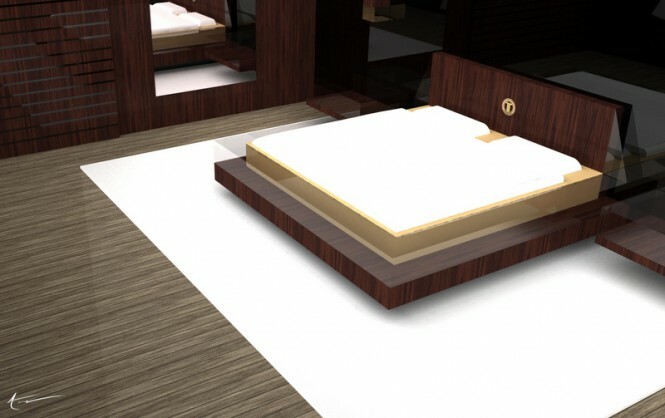 It will also be able to accommodate up to 12 guests and 18 members of staff as the yacht will have a master suite and six guest suites. The triangle shaped windows will allow light to filter through the vessel and the angled glass wall that is extended from the main deck to the upper deck will allow guests to relax and enjoy the gorgeous views of the beach.